‘The Hunter’ battles through the last chance saloon for Ally Pally Debut. 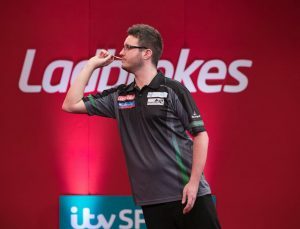 The former 4x Development Tour and 2x Challenge Tour Winner Adam Hunt claimed a valuable debutant spot in the PDC World Championship by coming through the PDPA Tour Card Holder’s qualifier in Milton Keynes on Monday. 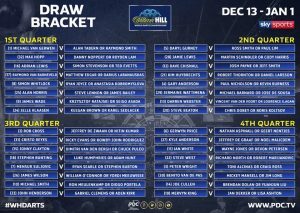 Hunt battled through a section of the draw that included 1 former World Championship finalist and 2 former World Champion’s. Kicking off his day against ‘The Terminator’, Terry Temple the game was played with great respect but more importantly fantastic darts. Temple missed vital doubles in the opening legs and Hunt punished the mistakes to open a commanding lead and eventually win 6-3. Both players averaged mid 90s. Next in line was Austrian, Maik Langendorf, who recently had a good run in the World Series. Adam proved too strong for Maik and defeated him by the same scoreline, 6-3. Up next was in form youngster Bradley Brooks, who was hitting averages of 99 in the earlier games. The match started off in fantastic fashion with Hunt firing in an 11 dart leg, but Brooks came back strong hitting 2x 14 and a 15 dart to take a commanding 3-1 lead. That was the last winning leg of the match for Brooks as Hunt fired in a superb 5 legs off the belt to move into the final with a 99 average. Moving into the final v former Embassy World Darts Champion, Richie Burnett, one match stood in his way to make his World Championship debut at Alexandra Palace. A fantastic standard throughout the final match, but with nervous darts included, Burnett took a 4-2 lead with the first to 7 the winner. As proven in the earlier game, Hunt battled back and produced 5 legs off the belt again, to win 7-4. Adam joins Chris Dobey & fellow debutant, Ryan Joyce at the World Championships which kicks off December 13th live on Sky Sports.